The Intimidator 4X4 Crew Series utility vehicle was designed by folks who nderstand what's required to handle a hard day's work. Every square inch of the intimidator is built to withstand just about anything you throw its way. Intimidator provides different power options to get the job done; from smaller jobs to middle-of-the-road and thosw requiring extreme power. 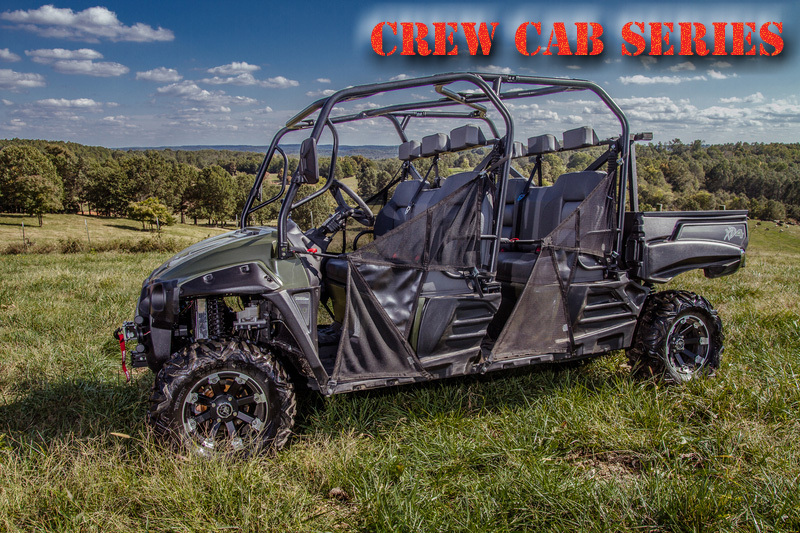 The 750cc Kohler gas or 1000cc Kohler Diesel are built to do it right The crew cab comes with a full size bed and can comfortably hold uup to six passengers. PICK YOUR MODEL, PICK YOUR PACKAGE, LET'S CUSTOMIZE! !